Making money online might seem impossible, but eBay is one of the best opportunities for starting an online business. 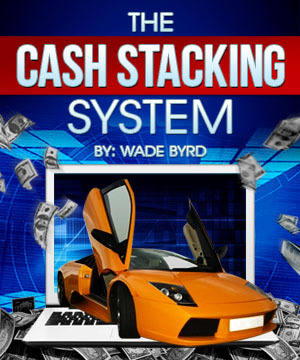 It is super easy to get started and you have complete control over how much money you make. Some people choose to sell items on eBay on the weekends for extra cash, while others make a full time business from it and end up making six figures a year. It all depends on what your personal goals are, but anybody figure out how to sell items on eBay and you can get started today. So, deciding what you are going to sell on eBay will most likely be a time consuming process because you need to find a niche in which you are successful. Start out by simply selling things from around your house so you can get a good feel for how the system works and get some practice writing item descriptions and printing mailing labels. While you may not sell all of your household items, the experience you gain from starting out this way is essential to your success. Once you are ready to discover your niche, start by researching what items eBay sells the most of by doing web searches. Name brand electronics such as Samsung, iPhone, or Sony are always hot sellers on eBay. For example, you could try buying used name brand electronics from craigslist for instance and reselling them for a much higher price on eBay. Although, you will want to check every phone or tablet to make sure it is not blacklisted before buying it. If you want to know how to sell items on eBay, start by visiting your local thrift store. Thrift stores can be an amazing source for making money on Ebay, but you have to know what to look for. Some people decide to specialize in selling rare and vintage luggage for instance, while others focus on gently used name brand clothing. The options are nearly limitless, so start out with the process of trial and error. Take note of what sells quickly and easily and what items sit on your shelf, day after day. There are so many great resources available online, especially on YouTube. Simply type in such things as “what to sell on Ebay” or “how to sell items on Ebay” and you will have access to thousands of videos from real life people who will give you detailed information about what items are the most successful for them. Making money is always hard work, especially at first. Learning how to sell items on eBay is a process but anyone who is interested in making money from an online business, Ebay is one of the best options out there. It might take awhile to get started and find your niche, but once you do the earning potential is nearly limitless.